I first heard of the term haibun when I spoke to the poet and novelist Rochelle Potkar. This interesting form of poetry was the brain child of Basho, the seventeenth century Japanese haiku maestro. Fusing the seventeen syllable haiku and prose leaves you with an interesting fusion for while prose can be rambling causing you to time travel, poetry is dew drop and glints like time itself, fleeting. Paper Asylum is a book of prose poems that throbs with the heartbeat of the samsara: dhadkan, mutuko dhukdhuki, dubrai, hrudaya spandana, ridai renag tarko, lungphu, yada badepa, or kalazachi udi. Potkar’s grasp over the human condition and the medley of languages and emotions that traverse the subcontinent leaves you exhilarated and immensely satisfied. I read a haibun a day and keep the book away, its beautiful cover reminding me that the experience was fictional, but was it really? Potkar does not shun the ordinary- her poems are infused with the objects of existence- property, hearing aids, vomit, in-laws, festivals, pots and CDs. Her knowledge of people and their behaviour is subtle and penetrating. There are hungry pregnant women, adolescents navigating puberty, rikshaw wallahs and failed fathers. 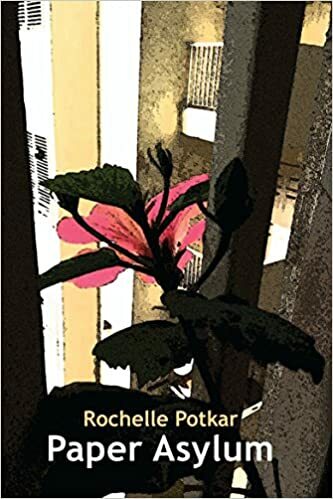 Her prose poetry marries the infinite magic of living with the mundane, connecting the two, like her haibun Knowledge, an account of overlapping realities, of the two sides of the coin or in this case living itself. You can keep coming back to her verse that acts as punctuation to the stories she tells. See what I mean? We need pauses such as these in our lives so filled with meaningless banter and information tomes. Paper Asylum is exactly that, an asylum of meaning. Read it. Neelima Vinod is an experienced teacher, writer and editor. She has written two books- an eBook fantasy called Unsettled and a book for students who are moving out of the campus zone into the corporate world. Right now, she is working on a fantasy series. She has attended the UEA Creative writing workshop in India and is well-acquainted with the nuances of the book universe.